Vikings Corner: Vikings Release Tackle Jackson: A Signing Coming Soon? Vikings Release Tackle Jackson: A Signing Coming Soon? 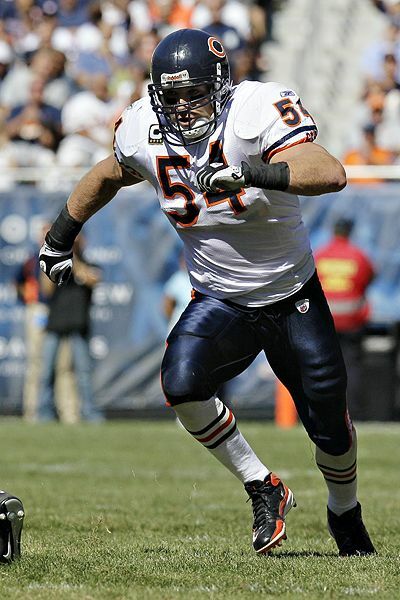 Daniel House tells you why the latest roster move may indicate the Vikings are leaning towards signing Brian Urlacher. The Minnesota Vikings made a roster move yesterday evening by waiving offensive tackle Mark Jackson. Jackson was an undrafted free agent this year and played his college ball at Glenville State. The Vikings rewarded him with a $300,000 roster bonus, but decided to release Jackson just days after signing him to a contract. Jackson wasn't a relevant option and was merely a player to fill the 90 man limit, but could this be a sign of things to come? It means a roster move could come in the next dew days. The Vikings have signed all of the 2013 draft picks except the first round selections including Sharrif Floyd, Xavier Rhodes, and Cordarrelle Patterson. The Vikings current roster includes 86 players, without the three draft picks factored into the number. This leaves one spot open on the roster and leads me to the idea that the Vikings may sign Brian Urlacher in the coming days. Despite Rick Spielman continually stating that Urlacher is not an option, I believe it still is a possibility. It all makes sense for one distinct reason. The Vikings are very young at the linebacker position with Michael Mauti being a rookie and Audie Cole experiencing only one season in the league. If the Vikings aren't confident with Erin Henderson in the middle, than Urlacher would be a perfect mentor to Cole and Mauti, preparing them to fill the hole in one or two years. I think Urlacher still has some skill, but has lost a step at age 34. Playing on turf for eight games will help and his experience is unparalleled. The tangibles outweigh the athletic ability and provide the Vikings with more leadership among the defense. The organization, including Coach Frazier have been non-committal about their stance on the position. I'm not sure they are confident with Erin Henderson, but as profiled in a post discussing this earlier in the week, Henderson is motivated. He will have to prove that he is a legitimate option and that is something we can't see until practice is conducted at training camp. With Urlacher remaining unsigned and publicly announcing he has drawn interest from the Vikings and Broncos, it makes sense the signing hasn't happened. The Vikings are merely waiting to dissect cap room and sign the last 3 rookies to contracts. Once this all has happened, they will be prepared and likely could pull the trigger on a deal. I believe Urlacher can help us from a leadership standpoint and would be great at developing Michael Mauti and Audie Cole into starters in the league. The Vikings publicly have stated they like Mauti and Cole's potential, which leads me to believe they will add a veteran to give these players more experience. Henderson will remain until training camp and will have to prove that he is willing to work harder than ever to earn the title of middle linebacker. It certainly will be something to watch as the days and weeks progress, but it all could merely be speculation. We all will just have to wait a few more days to see if a roster move is made.